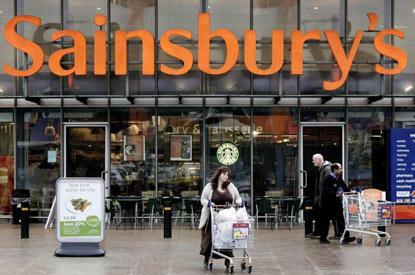 Sainsbury's is holding its annual conference for around 4,500 delegates at Birmingham NEC today. Sainsbury's employees - known as colleagues - are gathering at Birmingham NEC today for the supermarket chain's annual conference. Around 4,500 staff from every level of the business are attending the annual colleague conference, which includes presentations from Sainsbury's chief executive Justin King, as well as its retail director, group commercial director and colleague director. DRP Group has been appointed to produce the conference for the fourth year, said Sainsbury's director of colleague engagement Jacki Connor. A fashion show and Narnia-inspired enchanted Christmas theme will allow delegates to experience non-food products. Meanwhile, seven colleagues have been chosen to take part in a cook-off, which will be overseen by a celebrity chef chosen by Jamie Oliver. "Jamie Oliver couldn't be here himself as he is on paternity leave, but he has done a video intro and asked one of his friends to come in," said Connor. Paralympian swimmer Marc Woods is providing a motivational talk, and colleagues will be celebrated in Sainsbury's annual star awards. "There has to be a reason for doing it," added Connor. "We absolutely have to engage with colleagues so they feel valued and appreciated. It is also about giving them information about our business plans for the year."